1) SBI Virtual Currencies delists Bitcoin Cash: SBI Virtual Currencies, a licensed cryptocurrency exchange based in Japan, has delisted Bitcoin Cash [BCH] in a knee-jerk response to the recent delisting of Bitcoin SV [BSV] by Binance. 2) Antonopoulos on Bitcoin scalability: According to the Bitcoin patron, scalability cannot be solved permanently. He was of the opinion that there is no such “final solution” for the scalability issue on the BTC blockchain. 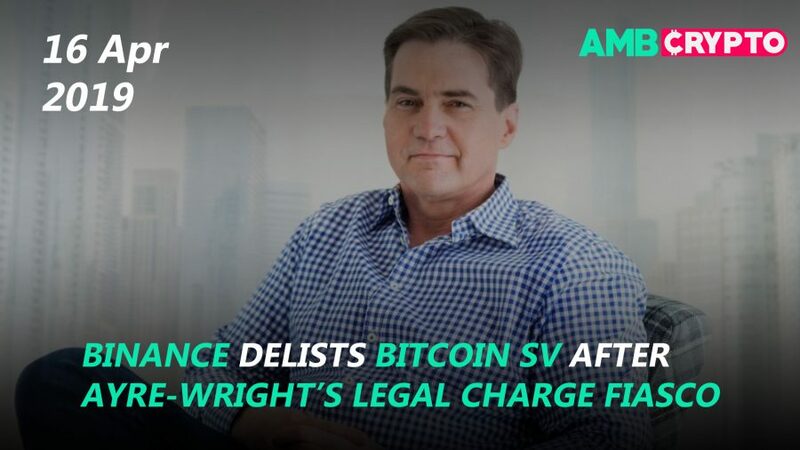 3) Bitcoin SV freefalls by 20%: It comes as no surprise that a delisting by the biggest exchange in the world has resulted in a massive freefall in the BSV price, declining by a whopping 21.22 percent at press time. 4) Calvin Ayre floats Bitcoin SV-based Exchange: Many more exchanges are inclined towards offloading BSV, hence Calvin Ayre has looked to a “native exchange” for respite. FloatSV, an OKEx partnered “Bitcoin SV based exchange” is the touted solution to the delisting dilemma. 5) Unocoin employee count reaches 14: In the latest crypto-verse related news from the world’s largest democracy, Unocoin, a once popular exchange, revealed that they only had 14 employees left after funding talks to revitalize the company failed. 6) Rakuten opens registration for trading cryptocurrencies: Rakuten, the Japanese equivalent of e-commerce giant Amazon, announced that it has opened registrations for its cryptocurrency exchange, in a recently released press release. According to the statement, account registrations for trading cryptocurrencies on the company’s Rakuten Wallet were now open.